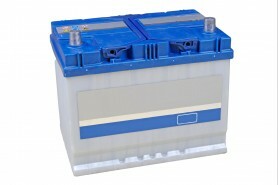 Do you need replacement car batteries in Cadnam, Southampton? You have come to the right place! There are many reasons a car battery fails. It could be that you’ve left your lights on or that it’s just reaching the end of its life. It could be a different problem altogether that’s accidentally affecting your battery, which is why we check car batteries on behalf of our customers in Cadnam, Southampton. Cadnam Garage Services wants to help you. We will not instantly jump to replacing your battery. We want to find out the reason for the fault in question. If you find that your vehicle is struggling for power, or you have to jump start your car every morning, Cadnam Garage Services can help. Our mechanics will run a full diagnostic check on your vehicle’s battery to get to the bottom of the problem. Some of the time, we’ve found that it is not actually the battery, it could be that the alternator is not charging as it should. Cadnam Garage Services wants to do more than just replace your battery. We want to get you back on the road safely and make sure you are happy with the vehicle. Our mechanics will take you through the problem with the battery before letting you know your options so you can make a well-informed decision regarding the battery. You do not need to worry about breaking the bank. All our car batteries are affordable. But that doesn’t mean cheap! We believe in quality – there’s no point having affordable if you have to come back after two months, right? Call Cadnam Garage Services today for all your Cadnam, Southampton car battery needs. Having Problems With your Car? Cadnam Garage is a member of the Good Garage Scheme, as well as an approved RAC and AA garage. We adhere to a strict code of conduct, which provides an open and honest approach to everything carried out in our workshops. While your vehicle is in our care, we will keep you informed every step of the way, and we will not undertake any additional work without your prior approval.